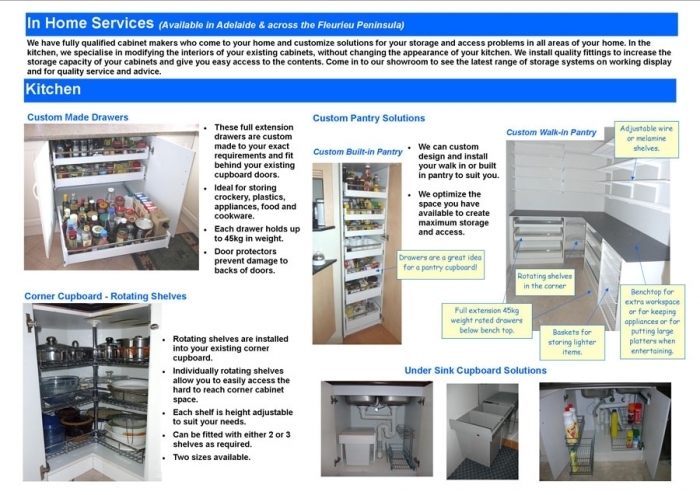 If you live in greater Adelaide or on the Fleurieu Peninsula we offer a professional installation service for our in-cabinet fittings and for Elfa shelving systems. Our professional cabinetmakers come to your home to measure, make and install custom-made drawers, which replace shelves inside your existing cupboards. Drawers create more storage in the same space and far better access to the contents of your cupboard, without changing the look of your kitchen. All at a fraction of the price you would pay for a complete new kitchen. 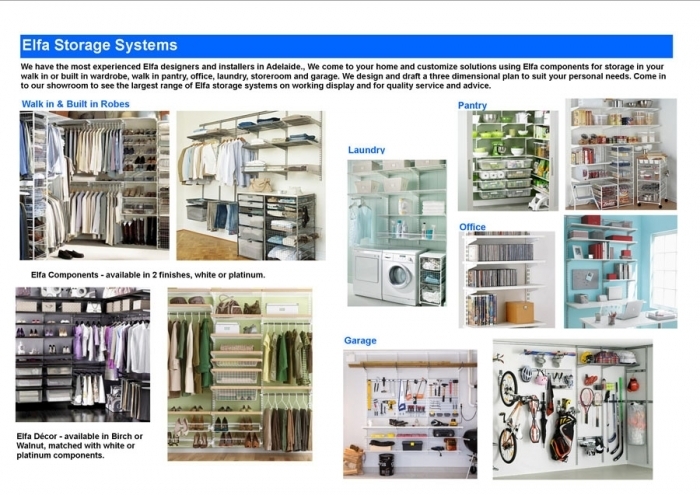 See “Kitchen Cabinet Interiors” for examples of products we can install for you. We also custom design and install walk-in robes and walk-in pantries. Bring your dimensions into our showroom, so we can help find a solution to your storage problems. Click an image below for details of local in home services we offer.